The WIPA Awards of Excellence will be hosted by the WIPA Las Vegas Chapter on November 29 at the J.W. Marriott Resort. Tickets for the event will be available October 15, 2017 AT wipa.org. Hair & makeup collective that specializes in on-location services. J. La Plante Photo is a husband and wife team specializing in vibrant wedding photography for couples getting married in breathtaking places. Larkspur is an elegant and stunning 5,500 square foot space, complete with a modern and thoughtful design featuring breathtaking views of the Gore Range, to elevate your wedding. 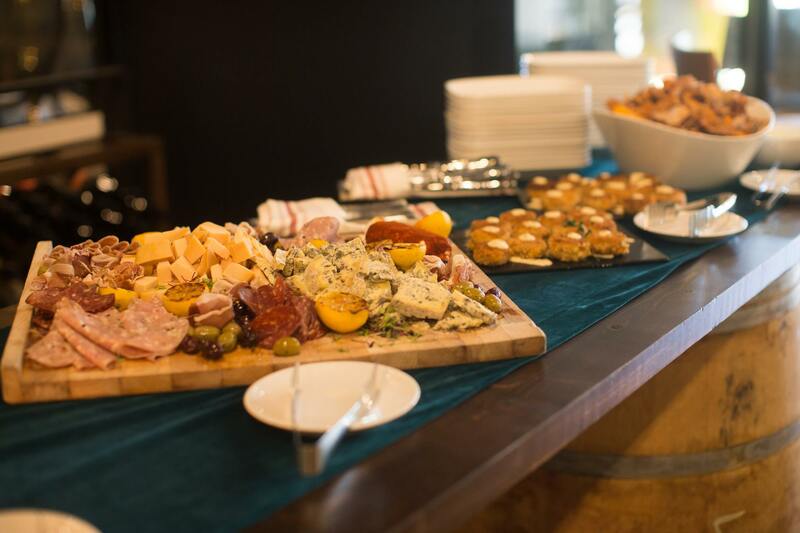 With accommodation for up to 500 guests, we provide nothing short of world-class cuisine and generous hospitality in our ideal Colorado mountain setting. The Knot is a wedding media brand. I work with couples to create custom ceremonies that are uniquely tailored to authentically represent their unions. I am a guide and co-creator; weaving together the ancient and the contemporary, the traditional and the unconventional. Blueprint Studios continues to build the largest collection of cutting-edge event rental furnishings of its kind. Our vast inventory enhances your ability to create the most unique and tailored networking or social environments with value-added service and one-stop design. 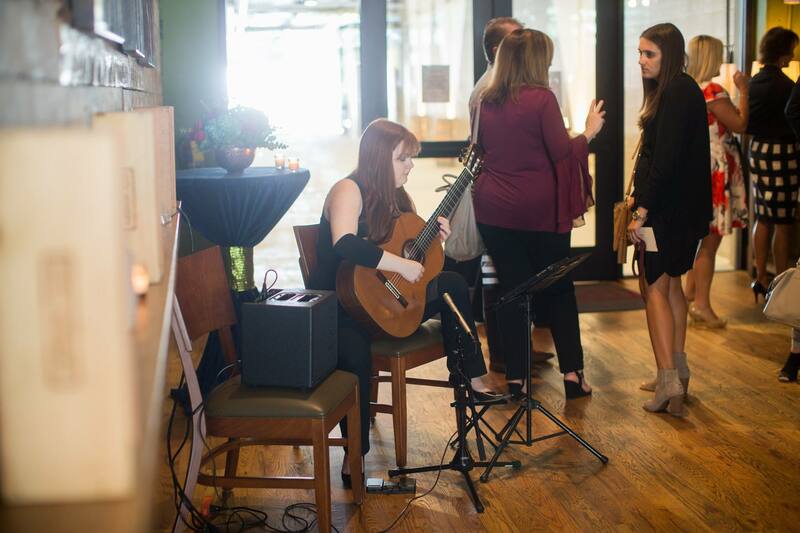 We provide Top 50 talent from American Idol, The Voice, X Factor and more to perform at weddings and other events, from solo musicians up to a full 9 piece band. The WIPA Colorado Rave in the Woods was our 3rd Quarter Event. There was so much networking, beauty and fun at Flying Diamond Ranch in Steamboat Springs!! This is just a snapshot from Frances Photography of all the décor, design and styled shoot planned by Bella Design and Planning and brought to you by WIPA Colorado! Our speaker, Cameron Clark of Cameron and Kelly Studio spoke about Growing your Business and it was insightful, witty and we all had some great take aways from the presentation. Thank you so much to all the incredible partners who worked for months on producing this incredibly fun and unique event! We feel so grateful to have such a vibrant group of creative partners all over Colorado. We had a fantastic meeting on September 7th in Atlanta! Special thanks to our speaker Morgan Montgomery of Paisley & Jade and our sponsors City Winery Atlanta, Laura Stone Photo, Thomasvisionfilms, Unique Floral Expressions, From Sir With Love, Collection Event Furnishings, Sinful Sweets, BBJ Linen and Krystin O'Mara, Classical Guitarist. And a big thank you to our speaker Julie Roth Novack! Our third quarterly event was a splendid occasion in a dazzling space filled with designer touches! WIPA members and future members were received at Enclave, a spacious and chic new venue just east of the strip. While everyone was greeted by Cut & Taste with lush mango margaritas, our active members were delighted with a gift from the Membership Committee... professional name badges! Complete with a darling gift bag featuring a tucked in mini-wine and a box of chocolates, it was one of the highlights of the event. After small bites and sips, guests enjoyed the comfort and style of FWR Haus designs as they seated themselves to be educated on the Art of Attracting Destination Clients by wedding planner tycoon Emily Sullivan of Emily Sullivan Events, New Orleans. This power-hour highlighted the many ways we can embrace the uniqueness of Las Vegas and showcase it to our destination brides. After our educational segment, guests moved into the dining room for a wonderful lunch service at stunning tables festooned with mid-century inspired stemware, mixed-pallet linens, and gilded flatware. The day ended perfectly with rooftop champagne as Enclave cut the ribbon for their new space. Our penultimate event of 2017 was bursting with all the things that make WIPA - inspiration, education, and networking! Kevin Dennis of WeddingIQ recently shared his thoughts on the top industry associations with WeddingWire EDU, as well lent insight to maintaining creative partner relationships on the NACE blog. Kevin is also confirmed to make his return to both TSE 2018 and Catersource 2018. Emily Sullivan shared Destination Wedding Trends with Travel Press and will be returning to Catersource 2018 as a conference speaker. Meghan Ely of OFD Consulting will be presenting on Wedding PR on the art of storytelling at the upcoming Be Sage Conference. This November, she will be one of the headliners at the 2017 Wedding Industry Forum, presented by Visit Loudon. Phillipvn Photography was featured in Brides.com for his coverage of a unique brunch wedding at the Norwood Club in Manhattan. A few more photos were later featured in a brunch weddings roundup on Brides.com as well. Bespoke Edge was featured in Feedspot as one of the Top 60 Bespoke Tailoring Blogs. They were also highlighted in Huffington Post for their YouTube style series, the Daily BE. Cerbelli Creative has been named a preferred partner at The Breakers in Palm Beach, Fla. Company founder Michael Cerbelli, longtime host of Michael Cerbelli's: The Hot List™ at The Special Event, is celebrating 40 years as a special event professional. Michael Cerbelli was featured on the cover of Corporate & Incentive Travel Magazine with a spotlight on the 16th annual Michael Cerbelli’s: The Hot List™: 2017. Cerbelli Creative won two awards for the Bigger than Brooklyn Bar Mitzvah at the 2017 ILEA Esprit Awards Gala. Their first award was for Best Print Marketing/Design Collateral, a joint effort with Alpine Creative Group, and the second was for Best Technical Production. The Atlanta Marriott Perimeter Center is going through a renovation. Our changes will offer spectacular new event space, upgraded sleeping rooms, a reimagined contemporary lobby and great room, and a stunning façade to welcome our guests. We are very excited to share our beautiful, new hotel with our guests and partners in the industry. The renovation will begin in October 2017 and we are slated to complete our transformation by Spring 2018! San Francisco Bay Area WIPA member, Sage McRae, has transitioned from Loews Regency to the iconic Fairmont San Francisco, atop Nob Hill, where she will plan and coordinate weddings, galas, fundraisers, and other social events. The next upcoming WIPA event, for October 12th at Blu Bungalow, will feature her designs inspired by the French artist Henri Matisse. Tino Productions has won the #1 spot in LA's Hotlist competition for best wedding band. The OC Register named Tino Productions as "best sounding & most versatile dance band on the West Coast". Tino Productions regularly performs for private dance events for DWTS. This year to date, Tino Productions has done weddings in Sonoma, Las Vegas, San Diego, Santa Barbara as well as countless others in LA, OC and Inland Empire. Rose Alemi at the Philadelphia Museum of Art is delighted to share the classic all-white wedding held at the Rodin Museum and Perelman Building featured in Philadelphia Wedding. This same wedding was also recently featured in the print copy of the magazine. FiftyFlowers has created a FREE directory service called FlowerPro Directory for floral companies or individuals who help brides with special event flowers. Offering industry trade discounts on wholesale flowers, and substantial traffic and regional search traffic in the vendors area. Napa Valley Linens is extending their partnership agreement to Stuart Rentals. Stuart Rentals is a perfect fit for our offering, and we look forward to supporting their growth in the the South Bay, Peninsula, and East Bay. Stuart Rentals extends our visibility in a geographical area beyond our other stellar partners service area, Bright and Encore Events. National piece, 54thirty was recognized as one of the hottest new bars in the country! Click Here. Along with, Local recognition for top 10 sexiest new bars/restaurants. Click Here. High Style Rentals, is proud to announce it's partnership with AllSeated, a collaborative network for planning events. High Style Rentals' furniture collection is now available for designing your event with the AllSeated platform, including a NEW 3D & VR mobile View experience. HSR offers collections of modern furniture and prop rentals to event professionals, and venues. 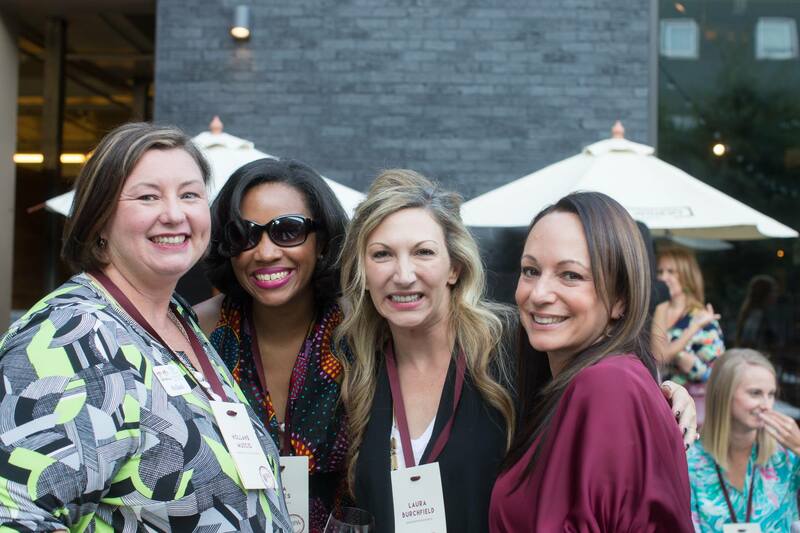 Party Slate recently celebrated the launch of Party Slate Dallas following Chicago and Los Angeles where celebrity planner Mindy Weiss joined them as a consultant and advisor. Party Slate is also excited to announce that they have closed a three million dollar seed round to expand to 12 more cities. Premiere Party Rents is featured on Ruffled Blog for this Citrus Hued Whimsical Wedding and this Soft and Romantic Lombardi House Wedding. Jessica Lauren Events was named one of the "Top 25 Wedding Planners You Need to Follow On Instagram" by Loverly. Their new industrial glam office was also featured in Style Me Pretty! WIPA NYC has teamed up with ILEA New York Metro to host the unveiling of the new Ziegfeld Ballroom! On Tuesday, October 11th, the building that was once known for hosting movie premieres, will open its doors exclusively to the private events world. With superb live entertainment and a panel of event industry veterans, it will surely be a fun and informative night. Click here to Register. Rayce PR is thrilled to have partnered with leading luxury wedding blog Strictly Weddings in their coverage of New York Bridal Fashion Week. Rayce PR has recently welcomed three new team members, Marisa Torres, Mandy Wu, and Hannah Onderdonk. Wedspire: During Wedding MBA 2017 in Las Vegas Wedspire’s CEO and Co-founder Afeisha James-Kipps spoke on the exhibit stage. She shared sneak peeks of their Wedspiration Feature and announced that they will be accepting submissions from pros for features starting mid-October. Chef Neal Fraser and Amy Knoll Fraser have added a garden on-site at Redbird | Vibiana, a career long dream of theirs. The 6,000 square foot space is located just behind the cathedral on land shared with the Little Tokyo Library. A multi-faceted endeavor, the garden is an additional private dining space for weddings, parties, brunches, dinners and more. In addition, it serves as a source of various ingredients for use on the restaurant menu and a place that gives back to the community through a public-private partnership with the Little Tokyo Library and support of other local organizations. LUXE Linen has recently been featured in the latest print edition of Grace Ormonde for a beautiful design at the LUXE Launch. They have also been featured in California Wedding Day, Strictly Weddings and The Knot for various weddings and styled shoots. Clients and customers can new view LUXE Linen's new collection and entire product line on their website. If you’re an NYC Event Professional, you have to attend the opening of the New Ziegfeld Ballroom!!! We’ve teamed up with ILEA to host this event and the lineup is legendary.